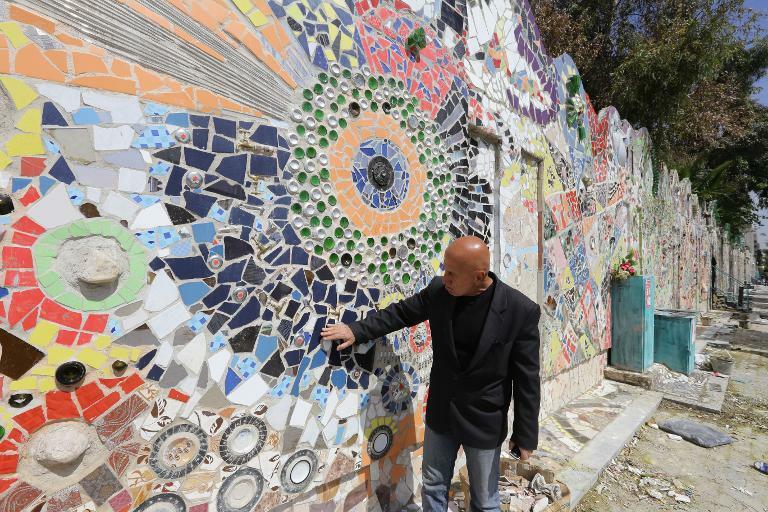 Damascus (AFP) – A Syrian artist has set a Guinness record for the world’s largest mural made of recycled materials, aiming to inspire hope and creativity in his war-ravaged country. Guinness World Records announced on its Facebook page that Moaffak Makhoul and his team completed the mural in Damascus in January, two months shy of the third anniversary of the grim conflict in Syria. “The largest mural from recycled material measures 720 square metres (7,749.98 square feet),” it said on its Facebook page. Mazzeh is an upscale neighbourhood and the wall Makhoul worked on runs along a key motorway through the centre of the capital. The team used a multi-coloured hodge-podge of scrap from cars, bicycles wheels, cooking utensils, pipes and soft drink cans, mirrors and ceramics to create the mural. “We began the work in October because I felt the need, in this climate of ours, to give something to my country, to make the Syrian people be known for their love of beauty, life and nature,” he told AFP. Housewives gave the artists a helping hand, supplying them with bits and pieces of domestic waste, said Rajaa Wabi who also worked on the mural. “Many people came from war zones to give us their house keys or other personal objects,” she said. The result is a vibrant mural that has brought people out onto the street. “All sorts of people have come to see it. The mural has reunited” Syrians, she said. Souheil Amayri, a professor who helped, said the aim was to help revive hope in Syria, where the war has killed around 146,000 people and forced millions to flee. “The mural gives us hope again. 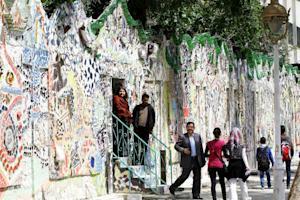 Damascus is wounded and sad… and creating something beautiful from rubbish means that we can rebuild despite the destruction,” he said. ← Will Washington Get a Women’s History Museum?